When the athletes enter the stadium and the Olympic flame is lit, the whole world watches. Billions will continue to follow the events and to share in the athletes' joys and sorrows for the next sixteen days. Readers of this book, however, will watch forthcoming editions of the Olympic Games in a completely different light. Unlike many historical or official publications and somewhat biased commercial works, it provides -- in a clear, readable form -- informative and fascinating material on many aspects of what Olympism is all about: its history, its organization and its actors. 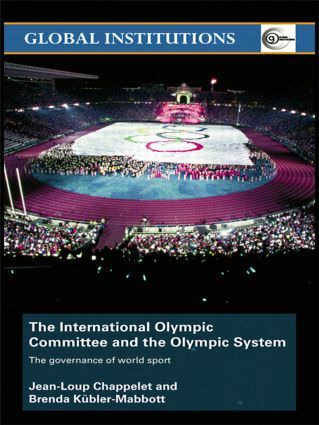 Although public attention is often drawn to various issues surrounding this planetary phenomenon -- whether concerning the International Olympic Committee, the athletes, the host cities or even the scandals that have arisen -- the Olympic System as such is relatively little known. What are its structures, its goals, its resources? How is it governed and regulated? What about doping, gigantism, violence in the stadium? In addition to providing a wealth of information on all these subjects, the authors also show how power, money and image have transformed Olympism over the decades. They round off the work with thought-provoking reflections regarding the future of the Olympic System and the obstacles it must overcome in order to survive.